Growler & Gill in Nanuet has an Allagash Brewery Tasting 6pm – 9pm! The Ruck in Troy has a Lagunitas End of Summer Showcase 5pm – 10pm! North Plank Road Tavern in Newburgh has a Peekskill Brewing Beer Paring Dinner 6:30pm – 9:30pm! The Golden Rail Ale House in Newburgh has their 24th Anniversary Beach Party 4pm! Pint Sized in Albany has an Equilibrium Brewery Track Attack Can Release 12pm – 11pm! Rushing Duck Brewing Co. in Chester has their 6th Anniversary Party 12pm – 10pm! Chatham Brewing has their Chatham Hop Fest 3pm – 9pm! Rough Draft Bar & Books in Kingston has a Catskill Brewery Tap Takeover 7pm – 11pm! The Ruck in Troy has a District 96 Brewer’s Showcase 5pm – 11pm! The Anchor in Kingston has a Two Roads Tap Takeover 7pm – 11pm! Birdsall House in Peekskill has an Industrial Arts Tap Takeover 6pm – 12am! Schatzi’s Pub & Bier Garden in Poughkeepsie has An Evening with LIC Beer Project 7pm – 10pm! The City Beer Hall in Albany has a Great Lakes Brewing Company GLBC Launch Party 4pm – 6pm! The Twisted Oak in Tarrytown has a Duncan’s Abby Beer Dinner 7pm – 10pm! The Tavern in Albany has a Northway Brewing Co. Avenue of the Pines IPA Tasting 4pm – 6pm! Captain Lawrence Brewery in Elmsford has their Sour’d In September 20181pm – 6pm! The Hoptember Harvest Fest is at Duchess Hops in Langrangeville! The Historic Neighborhood Brew Tours – Downtown meets at The Olde English Pub in Albany 12pm – 2:30pm! Gardiner Brewing Company has their Grand Opening Party 3pm – 7pm! Growler & Gill in Nanuet has an Bell’s Tasting 6pm – 9pm! Great Life Brewing in Kingston has a Sap Sucker Release 5pm – 10pm! 518 Craft in Troy has a “Think Beer, Drink Beer.” Book Launch Party 6pm – 9pm! The Hudson River Craft Beer Festival is in Beacon 1:30pm – 5:30pm! Troy on Tap is at River Street Field 1pm – 5pm! The Schenectady County Historical Society hosts Schenectady Suds 6pm – 8pm! Growlers Beer Bistro in Tuckahoe hosts an Italian Beer Tasting at the Westchester Italian Cultural Center 7pm – 9pm! Roscoe Beer Co. has their Octoberfest 11am – 7pm! Hudson Valley Brewery in Beacon has their Catoberfest 2018 6pm – 10pm! Growler & Gill in Nanuet has a Pumpkin Beer & Cider Tap Takeover 12pm – 11pm! Chatham Brewing hosts Chatham OctoberFeast 2018 11am – 6pm! Growler & Gill in Nanuet has a Pumpkin Beer & Cider Tap Takeover 12pm – 8pm! Fort Orange Brewing in Albany has their One Year Anniversary Bash 2pm – 10pm! Newburgh Brewing Company has a Fund Raising Party for Baby Steps Baby Pantry 1pm – 4pm! 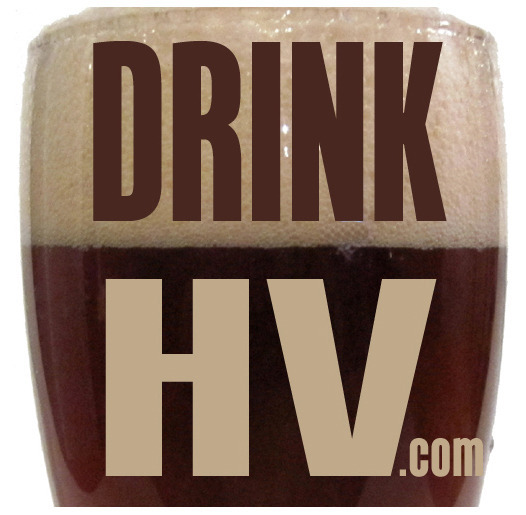 Holy Smoke BBQ in Croton-on-Hudson has a Troegs Brew Master Dinner 6pm – 11pm! Growler & Gill in Nanuet has their Anniversary Party 7pm – 11pm!